Dynamic, Direct and Effective: We navigate each client through complicated employment and business litigation. We do not waste your time or resources. We know how to get to “win.” Because we represent both corporations and employees, we understand how to prevent employment conflicts, and how to win discrimination lawsuits. Our integrity is our foundation. Founding and managing partner, Linda Hit Thatcher, has been consistently selected as one of “Washington’s Top Employment Lawyers” by Washingtonian. She wins tough employment cases on behalf of employees, and corporate clients seek her out because she knows how to keep a company out of trouble. Ms. Thatcher is also a certified mediator in civil matters. Wayne B. Wiseman is a former prosecutor, who founded a Park Avenue law firm, and managed civil litigation, commercial and transactional matters, and maintained a sophisticated criminal defense practice. He has tried hundreds of cases throughout the United States. Lindsay A. Freedman handles all employment issues and consumer fraud and protection cases. 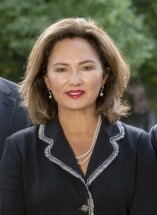 Stephanie Hubelbank is former prosecutor with extensive litigation experience.